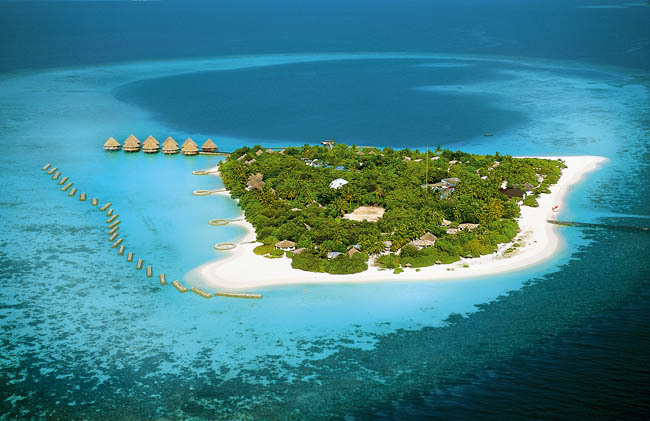 This trip brought us to Velidhu Island on North Ari Atoll, Maldives. Our stay from 24.05. to 04.06.2010 was really great. Immediatley after arriving I started to hang up the G5RV antenna. In front of our Bungalow (No 140) there was a palm with a height of about 8-10 meters – just perfect for the middle of the antenna. So the coax-plug was about 4 meters above ground, and I could easily reach the desk in the bungalow with the 25m coax-cable I had with me. After installing the antenna a few cyclons from India brought not the best weather, so I couldn’t test the construction immediately. Later on the first two stations came into the log: PI4DX from the Netherlands and UO6P from Indonesia. The propagation was not very good the first days. Except a few QSO`s I made all my contacts in 3 PileUp`s on 26.05., 29.05. and 30.05.2010. 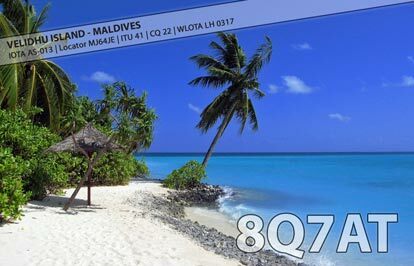 I can`t send QSLs direct because I don`t have printed QSL`s here to post. 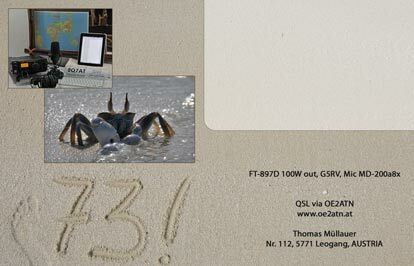 12.05.2010 – License was delivered through “Fred”, the postman! 03.05.2010 – email from ministry in Male, as attachment the license!!! They posted the papers today! I´m looking forward to receiving the original. 24.11.2009 – My letter with the request to get a license arrived at the ministry. They will send the papers in April/May via mail. 11.03.2009 – My first Email to the ministry in Male with reference to get a temporary license.